Award winning contributor Postandfly makes briliant use of his DJI Mavic Pro 2 drone to create this very powerful "aerial story" of Mexico City. With a metropolitan population of over 20 million, the Mexican capital city presents enormous contrasts: it's home to over a dozen billionaires, many millions who live in cramped apartments or worse, and millions more in countless varieties in between. In this video, you'll get a great bird's eye perspective on the way in which millions live in the great city. 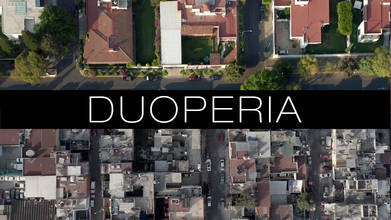 Description: Ths is the first epidode of the trilogy of Mexico City. I want to represent this amazing city from 3 different perspectives using only one drone. Reality Mexico is a country of many contrasts, home to several of the richest people in the world, but it is also one of the countries with the highest percentage of poverty. In large cities like CDMX, the contrast is very clear, therefore I wanted to document it from the air.